I was recently honored when I was welcomed onto Simplette's creative team. I love her kits and I am sure you will too. 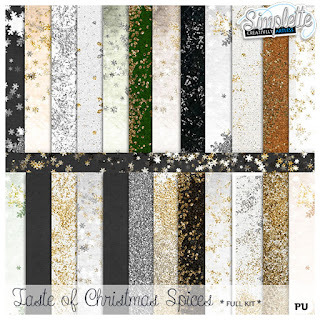 The first kit I created with was "Taste of Christmas Spices". 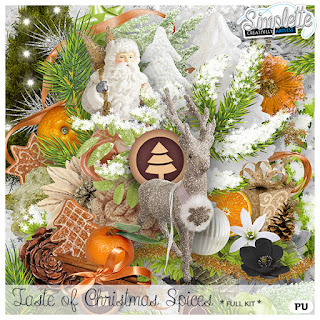 You may purchase this kit at Digital-Crea. Here is a page that I created. You may click the preview to download a personal use quick page.